Printing houses? Could 3D printing have a role to play in the housing shortage? Last year we saw tech gurus develop a 3D printer that printed a bridge and now its................ houses! 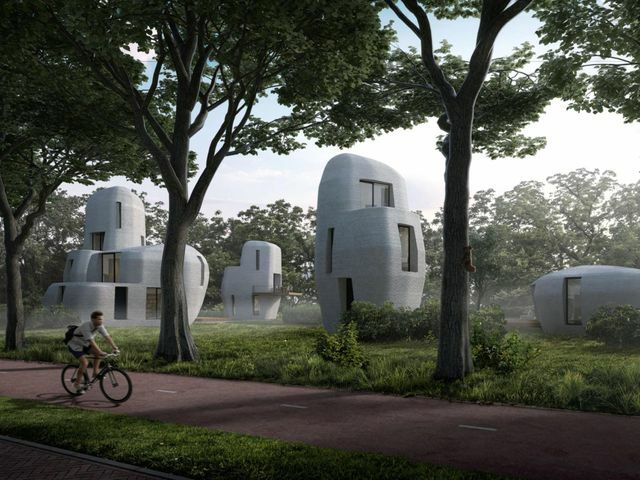 In fact, Project Milestone is set to construct five homes from concrete using only 3D printing. Whilst it may be a stretch to envisage traditional looking houses being printed in the near future and at scale, it is far more likely that 3D printing could be used to streamline offsite construction, in the short term at least. There is an obvious cost and time saving to be had, not to mention accuracy, but significant investment will be required to develop the technology. That said, it seems like there certainly could be a place for 3D printing in the industry. However, how will the IP be dealt with, who will take the ultimate design responsibility and who will be willing to take the plunge and invest in 3D printing on a large scale? We shall see.